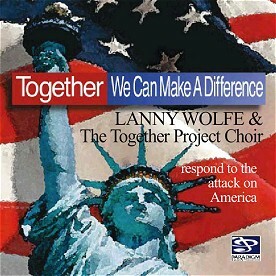 In response to the 9/11 attack on America or the devastation of Hurricanes Katrina or Rita â€“ Lanny Wolfe has written Together, We Can Make A Difference and recorded it with The Together Project Choir. You will want to get the listening CD or Cassette and be inspired to the greatest National unity our country has ever known. 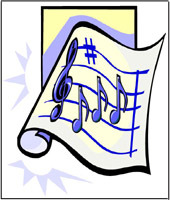 Ministers of Music and Choir Directorsâ€”You will want your choir to sing this! Order your preview pak today! An act of evil took our nation by surprise. Has only made us unite. We can change the world if we try. So let's join our hands and show the world our heart. NOTE: The demo recordings (with lead vocals), preview packs and video products are recorded with the 9/11 lyrics. Use the track CD/Cassette (#31608, #31607) to perform the latest Hurricane Katrina lyrics.